Durexo – Just Another Herbal Male Enhancement Product? Erectile dysfunction leads to loss of confidence and in some cases depression. There are many alternatives available in the market today from prescription based oral medication like Viagra and sildenafil to herbal supplements, to injections and even surgery in some cases. Durexo is an herbal male enhancement supplement which promises to help you boost your sexual pleasure and help achieve an erection. Let us look at some of the details of the product. One capsule to be taken about twenty minutes to an hour before sexual activity. Silkworm or Bombyx Mory is an aphrodisiac in traditional Chinese medicine. Wild Yam or Dioscorea Villosa is believed to contain human hormones. Siberian Ginseng or Eleutherococcus Senticosus is considered to be an adaptogen i.e. it promotes homeostasis and libido. White Willow or Salix Alba whose extract is called salicin or in its purest form Salicylic acid, which is similar to aspirin in enhancing blood flow. Jujube or Ziziphus Jujuba has been used in Chinese and Korean traditional medicine to alleviate stress. In fact in the traditional Chinese wedding ceremony, this fruit was placed as a talisman for fertility in the newlyweds' bedroom. Cayenne or the powdered version of Capsicum Annuum helps dilate the blood vessels hence improves blood circulation. Stinging Nettles or Urtica Dioica is supposed to help increase production of testosterone. Being an all-natural and an herbal product, it is expected to be better than chemical products out there. Its usage and purchase do not require a prescription. 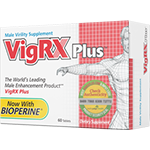 It comes in a 2-capsule trial pack and with a 30-day money back guarantee. The dedicated website contains no information especially about the ingredients used in the product, no explanation on how it works or even where it is manufactured. It does not list any side effects of using the product. Some of the important herbal enhancement ingredients, like Epimedium and L-Arginine, are missing in Durexo. It is not an FDA approved product, so its consumption is at the user's risk. Some of its ingredients like Siberian Ginseng are considered to be dangerous for people with high blood pressure. Given the fact that there is a huge lack of information about the product and its manufacturer (only information available on the website is an email id) and the wide variety of herbal enhancers available in the market, we suggest you give Durexo a miss. It is effective product for me. It doesn't cause side effects because it is all-natural. I'd recommend you to try it.